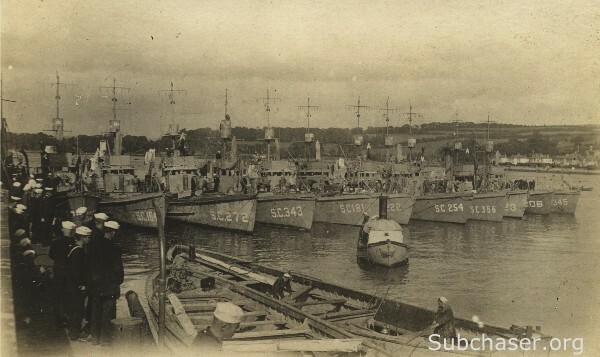 Submarine chaser SC 206 served at Plymouth, England (Base 27) and at Queenstown (Cobh), Ireland (Base 6). Photo of SC 206 from a collection of photos of a crewman of SC 254. Thanks to Laura Hawkins for submitting the images to The Subchaser Archives. A group of chasers at Queenstown, Ireland. Left to right: SC 271, SC 164, SC 272, SC 343, SC 181, SC 222, SC 254, SC 356, SC 323, SC 206, SC 346. 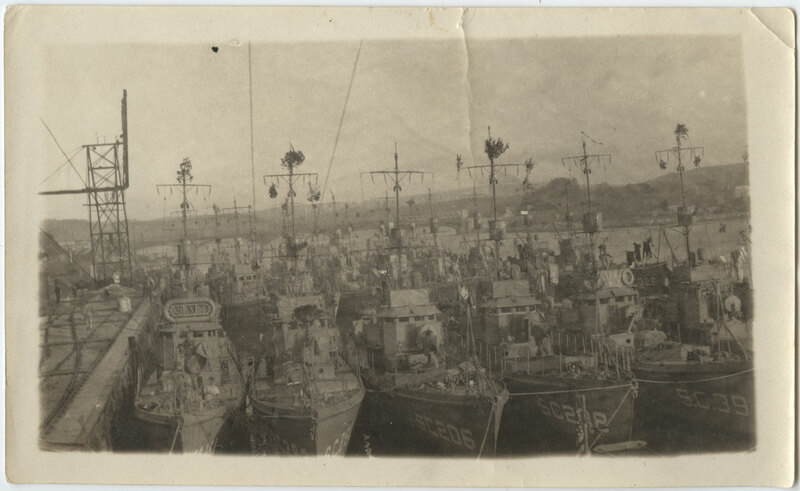 T. Woofenden Collection. 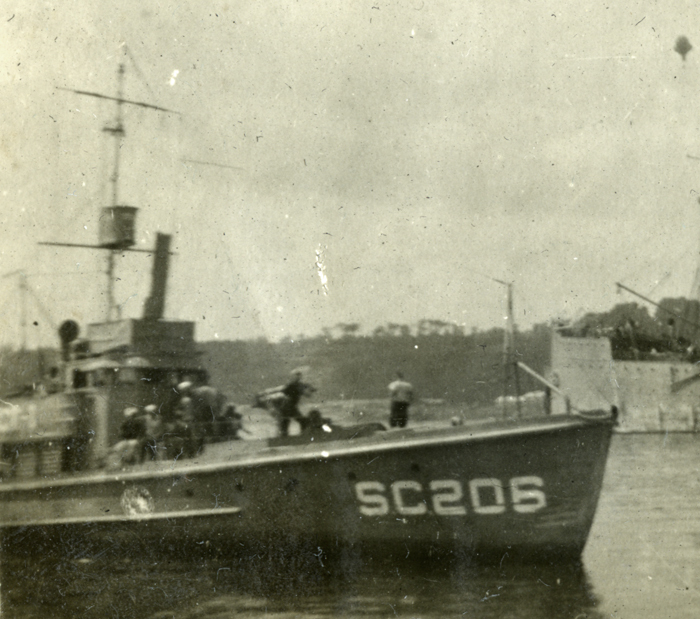 Another photo, from the book, The United States in the World War (Russell & Moore, 1921), shows SC 206 under way with SC 37 and a mine sweeper. Thanks to Tony O'Mahoney for pointing out an error in identifying a photo location, in this set.